What Exactly is a Monsoon? Parts of the Northeast have certainly experienced a very wet summer this year and some have gone as far as to describe it as a "monsoon". 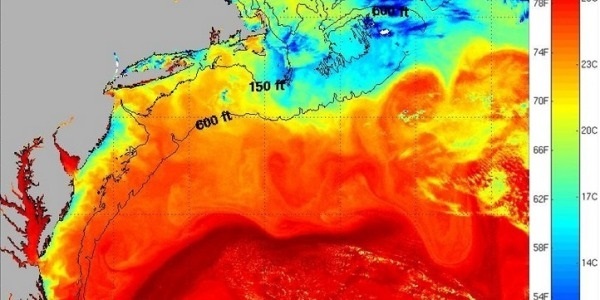 However, the rainfall folks along the I-95 corridor have experienced this summer is far less intense than the true monsoon thunderstorms some areas of the world rely upon each summer. Surprised by yet another July of above average temperatures? Clients that utilize WeatherWorks Long Range Forecast products weren’t! 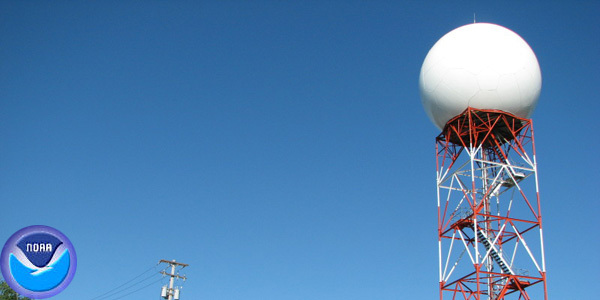 Our long-range team of meteorologists continually monitor global oscillation patterns and utilize innovative industry techniques in order to compile our suite of products. These procedures aided in our recent success regarding our July forecast, which is perhaps one of the trickiest in recent memory. If you’ve ever been to the beach on a hot and sunny day, you have probably noticed that it can get pretty breezy during the afternoon. You may have also noticed that areas closest to the ocean are often much cooler than places just inland. 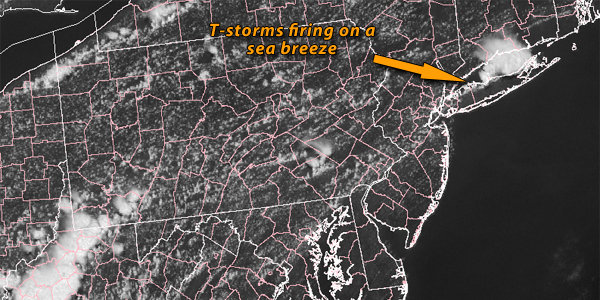 Many local news and weather stations simply refer to this phenomenon as a “Sea Breeze", but what exactly is it? First, I want to thank all of you for reading our blogs on the site. 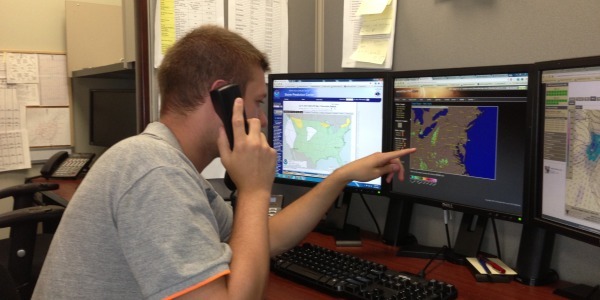 Our meteorologists work hard to write blogs that are interesting and at the same time informative. 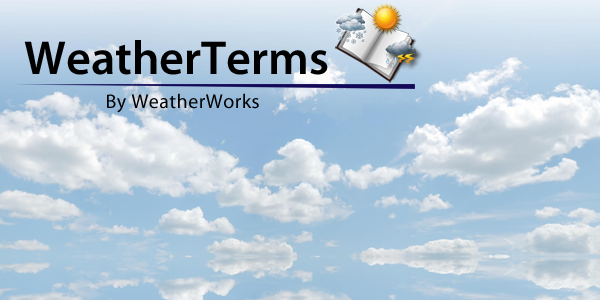 Speaking of our meteorologists, I have decided to do a mini-series going a little more in-depth into the workers here at WeatherWorks. My goal with these blogs is to take you behind the forecasts, blogs, and all the other products we provide to show you the great employees that put it all together. It was a hot and humid 4th of July weekend, so it was only natural to head to the closest beach. You arrive after battling some of the worst traffic of the year - perhaps on the New Jersey Parkway - and feel the nice ocean breeze as you sink your feet in the sand. It is time to jump in the water and cool off when... ouch! Pins and needles!? But it's July, why is the water so cold? That was the question many asked along the New Jersey, Delaware, and Virginia coasts this past Holiday Weekend... And the reason, upwelling. When Old Man Winter finally decides to let the warmer weather take over, many of us will head outside for spring and summertime fun. 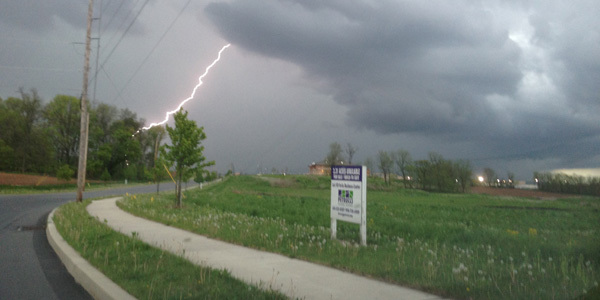 However, with thunderstorms almost common place during the late spring and summer season, it’s important for us to review and remember important lightning safety tips. 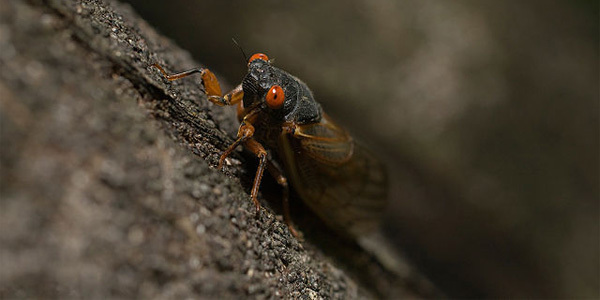 By now, I'm sure you've heard about the potential for millions of cicadas to swarm the Eastern Seaboard this spring. But where are the hoards of 2" long insects which only emerge every 17 years? Although some have started singing their horrible song (click to listen) over VA and MD, only a few have been spotted in NJ, PA, NY and CT. Well, the major problem has been the cool temperature swings this spring.